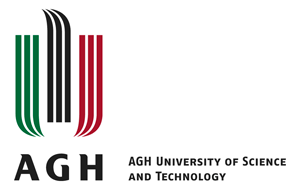 AGH University of Science and Technology is the largest technical university in Poland with a focus on mining and metallurgy. BASF is the largest chemical producer in the world, with its headquarters in Germany. Its supplies products to a wide variety of industries, and focuses on creating chemistry for a sustainable future. Baterpol purchases and processes battery scrap, while being a significant producer of refined lead and lead alloys. Their technological solutions close the battery recycling cycle and allow the economic use of more than 95% of the weight of battery scrap. Lead recovered from used batteries is used for the production of refined lead, and electrolyte and sulfur from the desulfurized paste are used for the production of sodium sulfate which are used in the chemical industry. Beak Consultants is a modern and innovative service company that provides their partners in business, education, research and administration a broad range of planning, research and development services in geosciences, environmental and the IT sector. Bionor’s main objectives are to build a clean environment and, above all, water protection. They design and build modern wastewater treatment plants, with their services including municipal as well as small wastewater treatment and thermal utilization of sewage sludge. 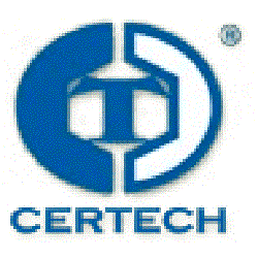 CERTECH’s specialty is the application of ceramic coatings with metal oxides – for example chromium oxide, aluminium oxide or zirconium oxide using the plasma spray method. They also offer necessary treatment of applied coatings, such as turning, grinding or polishing. The Croatian Geological Survey is the greatest public research institute in Croatia in the field of geosciences and geological engineering. Geological data is the foundation for the ​development of different projects of the national concern, such as fresh water supply, soil and water conservation, traffic infrastructure development, urban planning, exploration of mineral resources and environmental protection. The task of the Czech Geological Survey, which was established in 1919, is to provide the state geological service for the Czech Republic. The Czech Geological Survey has the statutory responsibility to gather, store and interpret geological information so that the state administration can take appropriate decisions about national economic and environmental issues. It provides the results of systematic regional geological mapping and investigation to all interested persons. Today, after thirty years, the company is developing and manufacturing state of the art measuring devices with built-in dataloggers and wireless data transfer. Although the company has not advanced in its numerical and financial situation, despite its highly developed technology, its potential for even greater progress and penetration into foreign markets is very high, also thanks to three young experts, sons of the founder of DMS-Data Measurement Systems, Branko Belingar.